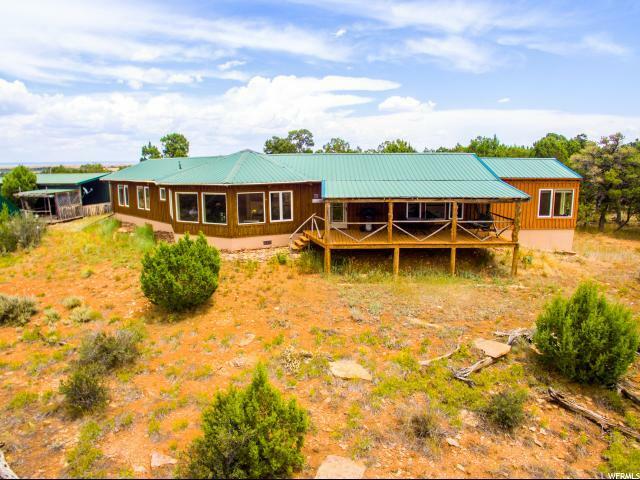 This fantastic property offers 38 acres in thee parcels of record. ( Parcel # 35S25E100002, 00003, & 00004). It has a great timber frame constructed home of 2200 sq.ft. with a separate shop and garage. The home offers 2 master bedrooms, 2 master baths, a great open kitchen open to living area. The whole house has a water filter system, and has 2 hot water heaters. Built with knotty pine and #2 aspen. 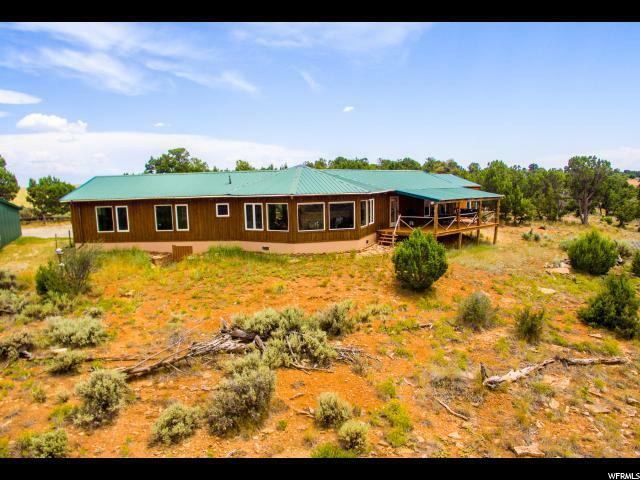 This home has 2 heating systems, 1- propane gas stove, 1- electric transfer system. Fantastic views of the Abajos, Blue Mountains, and you can even see the top of the Bear's Ears. Has huge windows for taking in all the views. The great room is octagon shaped to take advantage of all the views outside the windows. There is a Pella Storm door on the NW side leading to a large covered deck. Also offers a work out studio for yoga, weights or whatever your desires. Property offers public water through Eastland Water District. 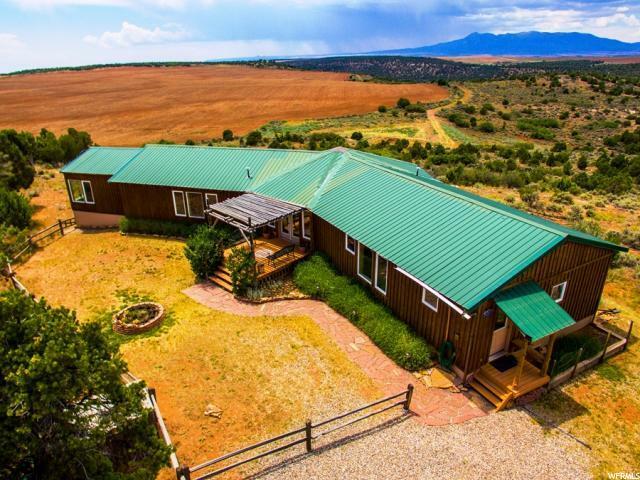 Offers animal rights for horses, tack room and small barn. There are several archaeological sites for those interested in digging up the past. Offers great privacy. Also could be used as a short term rental for the investment minded person. Furnishings can be included which would be priced separately and negotiable. 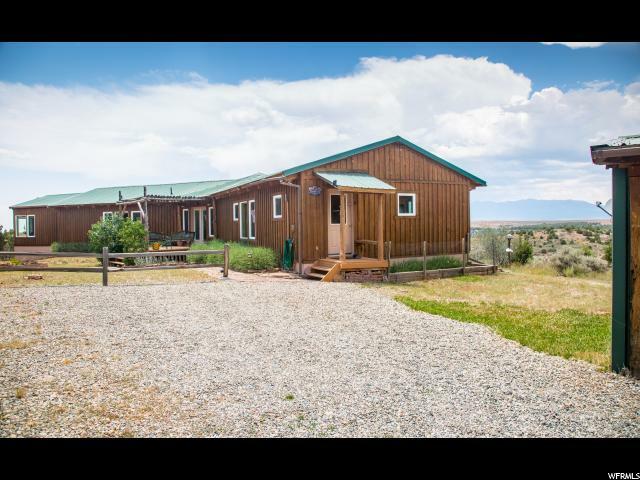 This is a must see if you are looking for a private retreat for the family or as an investment property.